What is my class code? 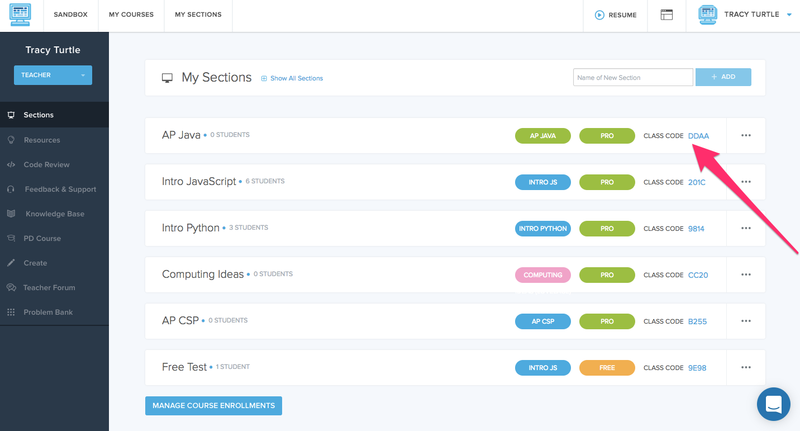 Each class on CodeHS has it's own unique class code. 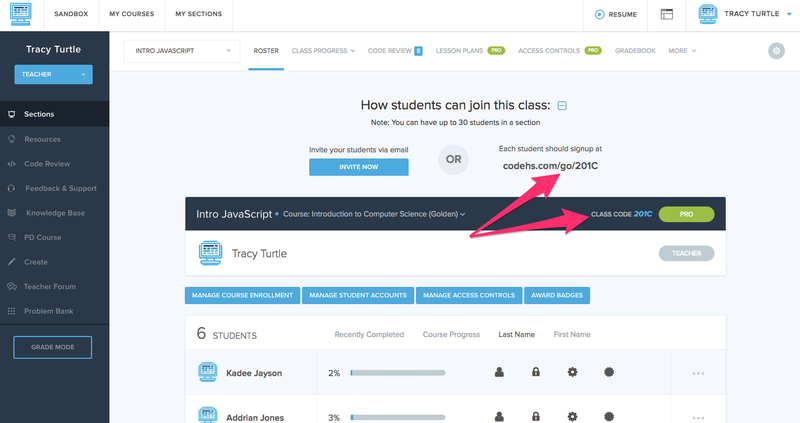 Class codes can be used for students to enroll into your class. You can find your class code from a couple of different places.